IBS is kind of a “garbage can” diagnosis in that it usually is the diagnosis given by your physician after they have ruled everything else out and still have no idea what is wrong. After the diagnosis, you were probably given a list of things to eat and not eat, told to take fiber powder or pills, and may be given an antispasmodic and/or antidepressant medication. And maybe you are reading this after you have decided the diet is boring, the fiber powder is awful, and the pills make you sleepy. And even though you followed the doctor’s directions – you are still suffering. Hypnosis might be the key you are looking for! IBS is NOT life threatening, but is life changing. It is unknown what actually “causes” IBS, but it seems that most patients first experience symptoms before the age of 35. 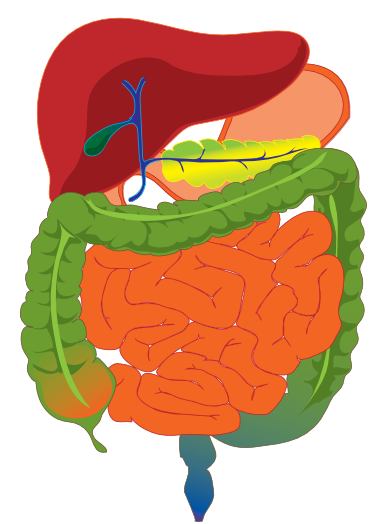 Muscles in the colon are more reactive in IBS patients, which may be due to an increase in nerve endings in those with IBS. Some symptoms may be caused by poor intestinal absorption of certain carbohydrates (sugars) found in milk, non-fermented cheese, fruit, diet foods, gum, products containing sorbital and carbonated beverages. Eating certain fats, foods with artificial dyes, alcohol and caffeine may make symptoms worse. Other issues may exacerbate the symptoms such as seasonal allergies, menstruation, stress, and overgrowth of yeast in the system. It might be called the “magic cure” because it really works! 86% of clients who finish the sessions became totally symptom free and the symptoms never returned. 94% of the clients received 50% reduction of symptoms and their symptom relief continued well after the sessions concluded. Material passed through the GI tract from the mouth to the first part of the colon lengthened from 93 to 133 minutes. It decreases the muscle movements in the stomach. When imagery of eating a delicious meal was introduced under hypnosis, gastric acid secretion increased by 89%. (Gastric acid secretion can also be decreased through hypnotic instruction). There has been much written and documented regarding the amazing response attained using hypnosis for IBS symptoms. IBS didn’t start overnight and it probably will not go away overnight. It does take time. It generally takes 6-8 sessions held every two weeks. Each session will include an MP3 recording, which you will listen to every day (preferably in the morning). You must be ready to be a fully participating member of your team to end your IBS. Listen every day to your MP3 recording. Are you ready to change your life from suffering from IBS to regaining control of your body? Great! Let’s meet for a free Discovery Session and find out if hypnosis is right for you.